“Frilu” brings the downtown Toronto fine-dining experience to Thornhill in an unparalleled 10-course experience in its 28-seater space. Like many fine-dining restaurants, the ambiance is modern and minimalistic, yet has a casual ambiance that has an inviting warm hospitality. 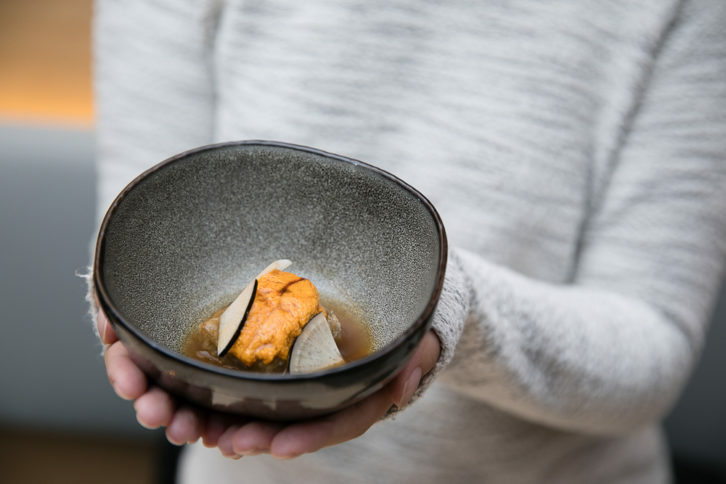 Just like the word’s Norweigian origin, “friluftsliv”, meaning one with nature, Frilu combines earthy elements from their leisurely atmosphere (complete with a mossy back wall), and their new fall tasting menu, called Harvest Moon: Changing Leaves.